PeopleGoal | How do we align our company objectives/strategy? 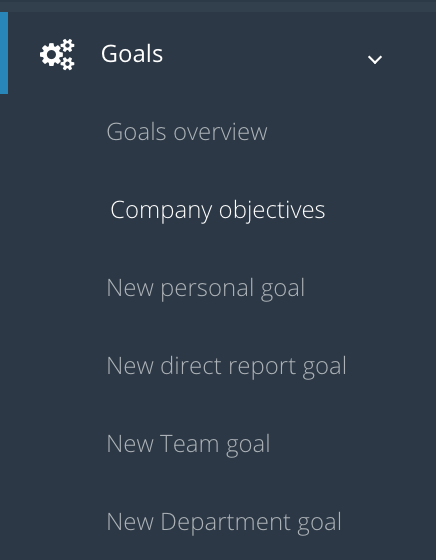 The company objectives screen gives you an overview of each of the company objectives, as well as showing which of your team members contribute to each of the company objectives. 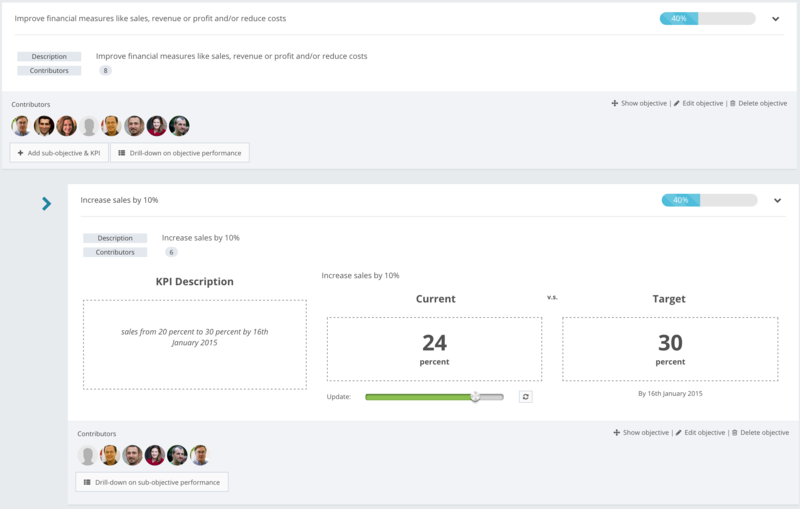 Company objectives can have sub-objectives and even specific KPIs to measure. Administrators can update these KPIs and individuals can contribute/align their own goals to them. New company objectives are easy to create; but only administrators can create these. Each objective should have a short description, long description and due date.